Kacey Musgraves got the spook of a lifetime during her appearance on Ellen yesterday (October 8). 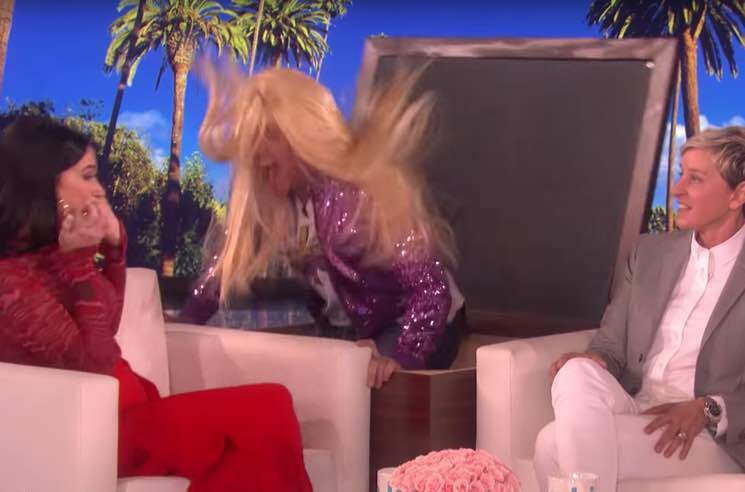 The country-pop sensation was discussing her pre-fame days working as a Hannah Montana impersonator at birthday parties, when the show's host Ellen DeGeneres pulled off another of her signature scares. Just as Musgraves was describing the terrible straw-like wig she had to wear, Ellen's own Hannah Montana impersonator jumped out of a the coffee table and freaked the singer right out. She shrieked and leapt out of her chair, and the whole thing was pretty hilarious. Check out the segment from Ellen below. See Musgraves' upcoming tour dates in support of this year's Golden Hour over here.